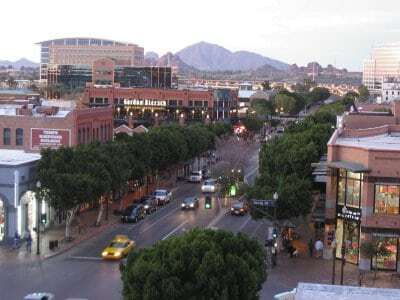 With one of the top party schools in the nation as well as a vibrant and exciting nightlife, it’s no secret Tempe is a center of entertainment with Arizona State University and Mill Avenue within it’s borders. Unfortunately, the strong bar and entertainment scene — and the resulting strong police presence — can lead to charges for driving under the influence or other alcohol related crimes. Before police officers can pull over a driver they suspect of driving under the influence, they must have a reasonable suspicion that the driver is impaired. Actions such as unsignaled lane changes, speeding, failure to use a turn signal, or driving without lights on may qualify as a reasonable suspicion, meaning that even small driving errors can lead to DUI charges. If you or a loved one has been charged with a DUI in Tempe, contact DM Cantor today. Being suspected of DUI can be a nerve-racking experience, but it is important to remain calm and follow the officer’s directions. However, you should know that you have the right to refuse to answer questions from the police and you are entitled to speak with your lawyer, no matter what an officer tells you to the contrary. Having an aggressive DUI defense is crucial in Arizona because the DUI penalties are among the harshest in the United States. A DUI conviction can significantly impact your life, job, and relationships, particularly if you have prior convictions. Don’t let a DUI conviction ruin your life – call DM Cantor for a free case review. Have you been suspected of a DUI or other crime on the Arizona State University (ASU) campus? Call us, we can help, we have over 1,600 documented DUI victories in Arizona. One of our experienced DUI defense attorneys will meet with you for 30 minutes, review your case, discuss potential DUI defense strategies, and will provide guidance for you in dealing with your DUI charges. Call us at (602) 307-0808 to schedule your free consultation. Our offices are available 24 hours a day by phone or by email. DM Cantor is not simply a generalist firm; the DUI defense lawyers at the firm — many of whom are former prosecutors — have a wealth of experience and insight with DUI defense and can make a real difference for you. The firm has the highest Martindale Hubbell rating of AV® and will work hard to fight your charges. In 2014, David Michael Cantor received a top 10 designation as a DUI defense attorney from the American Institute of DUI Attorneys, and he is a lifetime member of the National College for DUI Defense. David Michael Cantor graduated from Arizona State for his undergraduate degree and previously had his law office in Tempe for over 20 years. If arrested for DUI in Tempe by a Tempe police officer, you and your drunk driving attorney will have to appear before the Tempe City Court, located at 140 East 5th Street, near the ASU police station. There, you will see either presiding judge Mary Anne Majestic, judge Mary Jo Barsetti, and judge Tom Robinson. The lawyers at our firm are familiar with these judges and know how to present your defense depending on who the judge is in your case, giving you an edge you wouldn’t have if you chose to represent yourself. With a DUI Lawyer from DM Cantor, you can be confident that you will have a passionate, skilled, and professional advocate on your side. Call (or email) us today for a free consultation at 602-307-0808 so we can discuss your case and help you move towards an outcome you can live with.